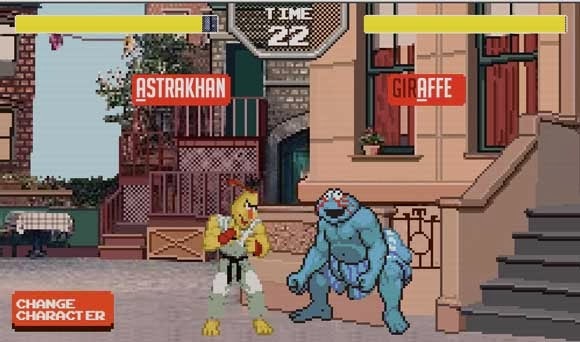 Remember that Sesame Street Fighter mashup we posted a while back? Well somebody decided to turn it into a real game of some sort. It's not actually your typical fighting game where you do combos off of a combination of directional keys plus punch and kick buttons, this time it's more like a typing game with those silly characters punching and kicking each other when you type in letters of the word on your side. Eventually your character will do a fancy move if you manage to spell out the entire word correctly. It's not really a stellar game but you can spend time on it if you have nothing better to do with your life at the moment. Go ahead and check it out at the source link below.